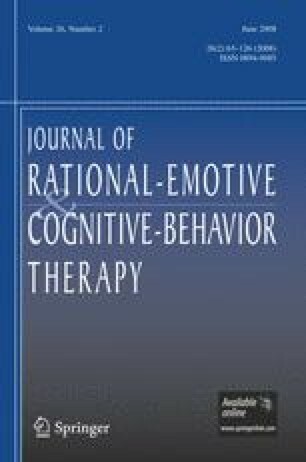 This exploratory research set out to develop an initial framework and categorization scheme for understanding patients’ initial doubts, reservations and objections to the ABC’s of REBT and their application. 60 patients were asked to write down their doubts following a pre-therapy “Introduction to REBT” session. Subsequently, an emergent content analysis was carried out to identify main themes. The content analysis revealed five general categories, of which the two largest ones concerned theoretical doubts about the ABC model, and doubts about putting the ABC model into practice. Further sub-categorization revealed a variety of concerns that related to these categories. For example, a large proportion of doubts about putting the ABC model into practice were sub-categorized as concerning the perceived difficulty of doing so. In turn, this sub-category contained further sub-categories of difficulty-related beliefs. This research was supported by a grant from the Research Capability Fund in the Department of Professional and Community Education, Goldsmiths College, University of London.